The slag pot is one of the accessory equipment in the metallurgical industry.It is used for holding steel slag and waste when steelmaking and puddling.When the slag pot is used, it immediate contact the steel slag and is subjected to high temperature baking. The temperature of the steel slag is extremely high, which requires the foundry to pay special attention to the quality of the product in the production process of the slag pot.The slag pot must be smooth.Otherwise, the users will have adhering slag during use.If the steel is viscous, it needs to be hit with a heavy hammer when cleaning the slag pot, which is extremely destructive. Therefore, when selecting the manufacturer of the slag pot, it should pay attention to whether the foundry is a professional slag pot manufacturer and whether the slag pot produced has a good reputation in the market. In recent years, according to customer surveys, the slag pots processed by Xinxiang Great Wall Steel Casting Co., Ltd. have been splendid in the large-scale steel castings market at home and abroad. The products not only shine in the domestic market, but also are exported to dozens of overseas countries such as Korea, Japan, and the United States. It has been sold well in many countries and regions at home and abroad, and its product quality has been well received. Firstly, each slag pot is digitally simulated by CAE software before casting. The process analysis and quality prediction of the product forming process are carried out by digital simulation technology, and the process optimization of slag pot casting is completed.Secondly, for the problem that the slag pot trunnion alloy steel and the tank carbon steel are difficult to weld, the CHAENG has customized a complete process to strictly control the welding problems in the slag pot production process;Finally, 360° non-destructive testing of the inner wall of the slag pot, the trunnion and the tilting mechanism is carried out using advanced flaw detection equipment to ensure the internal and external quality of the slag tank. The CHAENG adopts high-quality materials such as ZG230-450/GS-16Mn5/BS3100 B2. The slag pots cast by such materials have the characteristics of good plasticity and high melting point. 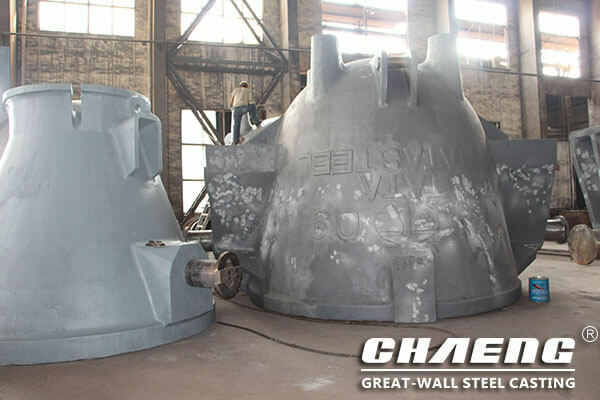 At the same time, in order to ensure the quality of the slag pot, the CHAENG adds a certain amount of alloying elements in the smelting molten steel, thereby increasing its strength, reducing the deformation of the product during use, preventing the overall cracking of the slag pot and increasing the number of uses. 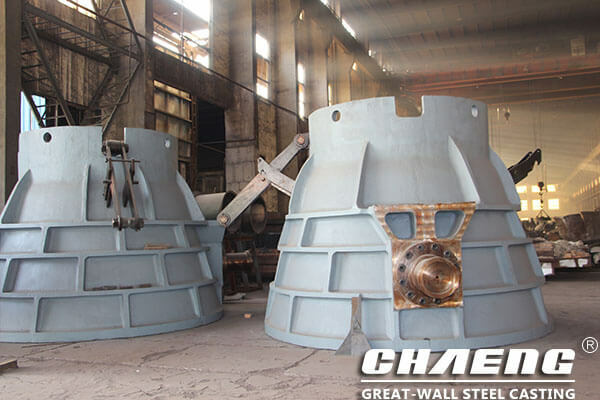 The measured results from many customers show that the slag pot cast by CHAENG has been repaired for the first time in 2-3 months compared with its peers, which greatly improves the service life and reduces the cost of use. Third,Perfect service from the beginning to the end to reassure customers. 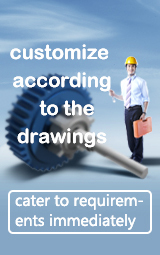 CHAENG can provide users with a series of services from pre-sales planning, sales tracking and after-sales service. Pre-sales, according to different customer needs and drawing size to provide slag pot production recommendations; During the sales process, timely feedback to customers on the implementation progress of the contract, and assist customers to develop process plans; after-sales, continuous and reliable service for customers to solve worries. This series of services and complete solutions from start to finish truly make customers feel comfortable during the cooperation process. In the past 7 years,CHAENG has won the recognition and favor of well-known enterprises at home and abroad in the processing and casting of slag pots. Many customers have come to visit and inspect and seek cooperation. In 2008, Mittal Steel Group wanted to find a slag pot processing company with stable product quality, exquisite craftsmanship and high reputation. After many investigations, it chose CHAENG as its area in China Partner. In 2014 alone, European customers, Indian customers, Turkish customers, and German customers... have come to visit the CHAENG and seek cooperation. 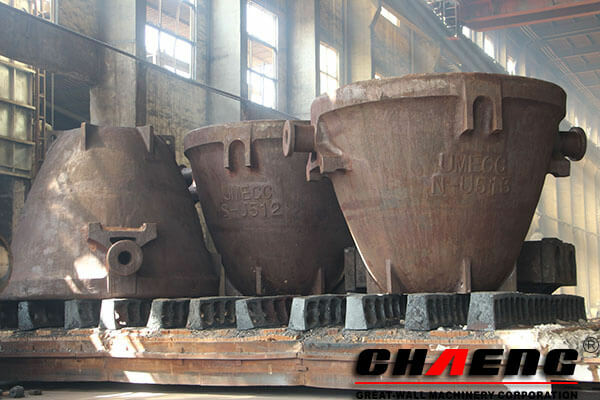 The arrival and praise of many customers is the biggest affirmation of the quality of the CHAENG slag pot. Today, CHAENG has become a leading domestic slag pot casting expert.